HomeappsMarketingMicrosoftMicrosoft Dynamics CRMDynamics 365 Marketing Encompasses Everything That The Millennials Need! Microsoft Dynamics 365 is known to be a frontrunner when it comes to topnotch, and latest CRM solutions for a business. However, the best part about this tool is that it is not only restricted to customer support or relationship management functionalities. In fact, there is a lot in this tool to attract more customers, convert leads and to also retain them. At the same time, now, a plenty of new features are added to the Dynamics tool, which makes it a perfect choice of the companies who wish to integrate a one and only all-purpose solution. As, this tool contains customer support, sales, marketing, finance, operational and a plenty of other functionalities. And, now, they are even integrating the latest technologies like AI in a plenty of their solutions. Why Microsoft Dynamics 365 is a perfect tool for the new generation? Dynamics 365 is a powerful software with a host of features, which are just apt for the present generation. The software is enough to be installed in a company to manage a host of different activities. This is the feature that makes it appropriate for the current generation. Simply, because this feature amplifies the speed and efficiency of an organization as with one tool, the company is able to manage quite a few things. Also, because of such a solution, it becomes easy for the company (different teams) to work in sync. One of the other reasons why Dynamics 365 is a powerful solution for the company is the fact that it contains almost all the latest features that a company needs. Starting from the trust of Microsoft to the smooth functionality, it has everything right for the businesses to adopt. Plus, there is a lot that Microsoft is constantly adding to the Dynamics suite in order to make it perfect for the present generation, and in this article, we will talk about some of the top functionalities in the Microsoft Dynamics 365 app for marketing. How Dynamics 365 app for marketing is the best solution for the present generation? Microsoft Dynamics 365 app for marketing is the specially crafted tool for the marketers. It is integrated into the Dynamics 365 itself and it turns out to be the strongest feature of the solution. 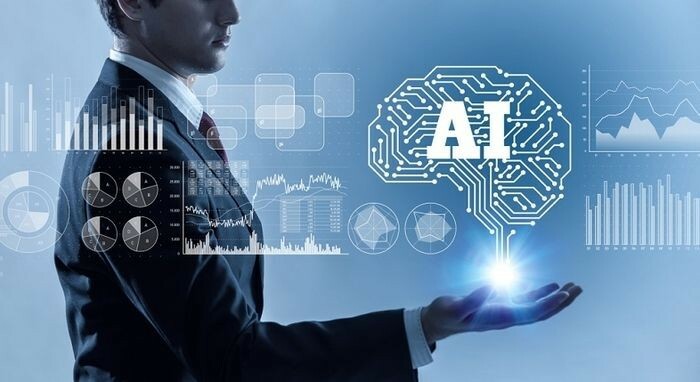 Not only it contains traditional marketing functions, but some of the most revolutionary new-age features as well, like the integration of AI. One of the most powerful features that make Dynamics 365 the best of all is the fact that it saves a lot of time of the users. Marketers do not have to rely on different programs for different marketing activities. Whether they want to plan and execute an email marketing campaign or a social media marketing campaign, they can do it all using Dynamics 365 app for marketing. Not just that, the marketing experts can even trace the performance of their activities using this one and only solution. This not only makes it easy for the marketers but also a lot of time-consuming. The app for marketing believes in offering full flexibility to the marketing professionals. That is why the marketers get the opportunity to customize and personalize the complete marketing campaigns using this Dynamics all. Starting from customizing the messaging to tweaking the design, the marketing experts do not have to rely on any other resources or programs. They can easily modify not only the communication but also the graphics without any hassle using the additional features in this marketing application for the new gen.
Dynamics 365 makes it easy for the users to revert to get a closer perspective of the behavior, interest, sentiment, geography as well as the pattern of the customer. The AI-powered marketing insights are not only more detailed but turn out to be pretty helpful as well. The new gen is giving a lot of value to AI, and the reasons are many. This is where the Dynamics 365 integration stands out as they have successfully integrated AI in many ways. Microsoft Dynamics 365 app for marketing sure is one of the most talked about marketing app in the present age. It is not only a master product by Microsoft, but it is also being evolved every now and then to match to the demands of the new gen.